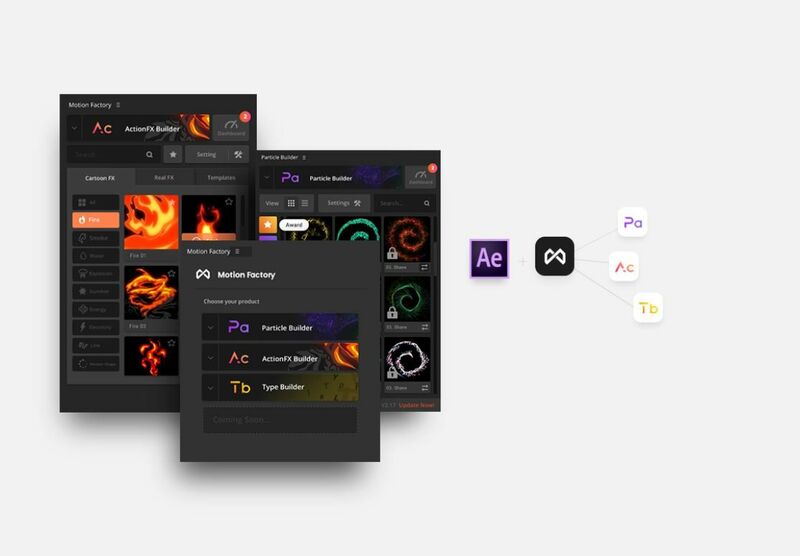 Adobe After Effects is a program which helps you create amazing things even in a standard form. Anyway, there are plenty of useful plugins and extensions that can take your skill to the next level and enhance the workflow. A plugin is a component that adds a new function or feature to already existing software. They can simplify the working process, boost your productivity, and save you a lot of time. Here's a list of 5 handy and easy-to-use plugins for Adobe After Effects that will make your workflow faster and open up new creative options. Try them all - all these plugins are free of charge. Compatibility: After Effects CC and above. This handy plugin will help you optimize your workflow and save you a lot of time. Just install this plugin, open it by hitting a shortcut key (Ctrl+Space or Cmd+Space for Mac) and start typing the effect or preset you want. Then click or hit Enter and the effect is applied directly to the layer. It’s super fast and lets you stay focused on creating. Also, you may change the settings and customize the search results to see the favorite effects and presets first. Compatibility: After Effects CS6 and above. This free tool by Mister Horse is a real catch for both professional motion designers and just beginners. It helps add animation, titles, backgrounds, effects, and elements in minutes. Animation Composer contains more than 150 motion presets, precomps and sounds that you can use in your projects. Everything is super-easy to use and to adjust. Compatibility: After Effects CC.2014.2 or above. To use presets in Premiere Pro, you need After Effects installed with the same version. This extension is also a timesaver for motion designers. It allows to apply transitions, effects and presets in just a few clicks and set the properties through a user-friendly menu. Motion Bro has a package of hundreds of free transitions, elements, and sound effects for any need. However, you can buy additional packages from the extension’s creator Videolancer. Easy to learn and quick to use, this rigging and animation toolset is a must-have for animators. Thoroughly elaborated intuitive interface and the smart auto-rigging system let you create a character in a single click! With such a huge list of powerful features, Duik gives you amazing possibilities to speed up your animation process. And what is even more amazing - this plugin is absolutely free. Compatibility: After Effects 2015.3 and above. • Particle Builder - After Effects plugin for creating cinematic particle effects like sand, dust, fireworks, magic, and more in After Effects. • Action FX Builder - After Effects plugin for creating a professional cartoon and anime FX & Real FX for After Effects 2D animation. • Type Builder - After Effects & Premiere Pro plugin for creating text animation and kinetic typography. • HiTech HUD Builder - After Effects plugin with professionally designed HUD elements (infographics, holograms, etc.) for creating Hollywood level HUD projects. • Glitch Builder - After Effects plugin with more than 100 different glitches and digital distortions for creating fancy glitch effects. Don't waste your time and grab the plugins you'd like to add to your workflow. Make sure to check how to properly install each plugin, because the way may vary. With such handy tools, you will be able to work more efficiently and open up new creative horizons.